The Document Specialists prepares Chapter #7 petitions for our clients by having the clients initially filling out a workbook book, which facilitates as the informational process to prepare the petition. Clients, on average, spend from 5 – 10 hours completing this workbook, which is given to them as a take home process. The Document Specialists charge $199 to prepare this document and the Federal Court charges $335 for filing. You can find the forms you need here. To learn more, schedule a free consultation appointment today! The Document Specialists will produce all applicable documents from beginning to end affording clients the service of not having to stand in long lines and interface with courts of jurisdiction. The entire process typically takes 6 months from the initial filing of first documents. Our Divorce services range from $449-$499 dependent upon the client criteria. Filing fees in Los Angeles Superior Courts are approximately $435 in addition to The Document Specialists consideration. 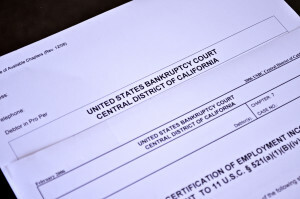 Clients with financial difficulties may qualify for a fee waiver upon the courts review and approval. Approximate fees are a follows: Divorce with no minor children $449 and with minor children $499 excluding the court filing fee. You can find the forms you need here. DECLARATION OF TRUST or THE TRUST AGREEMENT sets forth the written terms and conditions of the written document. This document is tailored to meet the unique needs of your family or circumstance. The POUR OVER WILL transfers any remaining assets or property not previously transferred into the trust. The function of the pour over will is to act as a safety net to catch any property that has been intentionally or inadvertently left out of your trust at the time of your death. The ORGANIZATIONAL SECTION for record keeping and to collect information about your personal and financial affairs is included. Forms are provided which can be completed regarding where assets are located, wishes for memorial services, and any other information you consider to pertinent. The LIVING WILL which can be part of the durable power of attorney for health care or a separate document. Our fee is $399 for a single living trust or $499 for a married couple/joint living trust. We charge $99 per property to transfer real estate in to the living trust. Our fees for the amendment would depend on what is changing. You can find the forms you need here. The Document Specialists will produce all applicable documents from beginning to end. The entire process typically takes 3 business days excluding the county recording the deed. 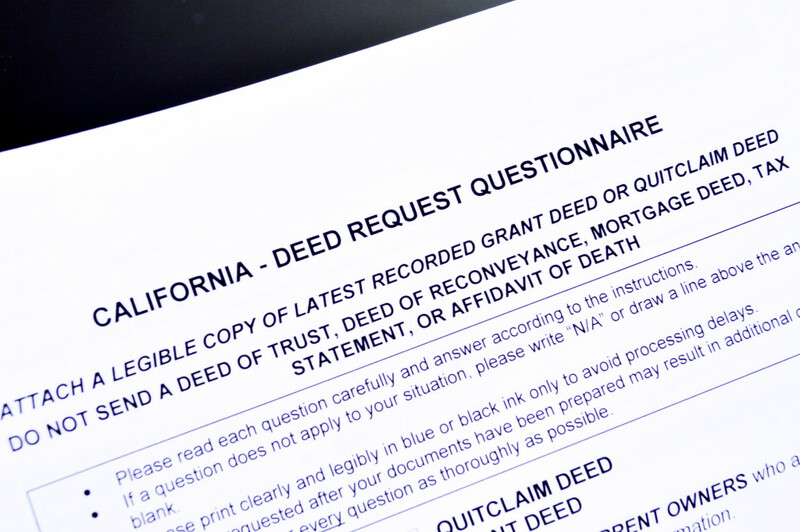 Recording fees with The Los Angeles County Recorder typically are $30 per deed. The Document Specialists consideration to prepare all necessary documents is $99 inclusive of ministerial duties i.e. Notarial Certificate. You can find the forms you need here. 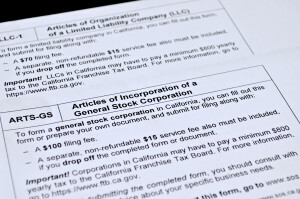 The Document Specialists will produce all applicable documents for an Inc., LLC, or DBA formation from beginning to end affording clients the service of not having to interface with The California Secretary of State. The entire process typically takes 25 to 30 business days with all applicable documents produced for your complete Corporate kit. You can find the forms you need here. The power of attorney for finance and property matters gives legal authority to another person (called an agent or attorney-in-fact) to make property, financial and other legal decisions for the principal. A health care power of attorney gives legal authority to another person (called an agent or attorney-in fact) to make medical and other legal decisions for the principal. The cost for each Power of Attorney is $99 including notary and is typically produced in 3 business days. You can find the forms you need here. Child Support Modification is very personal. Typically we have our clients fill out worksheets and then schedule a consultation. In addition to the worksheets, we need a copy of the current court order. Since support is an issue, we will also need the Income and Expense Declaration, as well as a declaration as noted on the workbook as to what the hearing is about and what you are hoping to accomplish. Our fee to prepare the Support Modification Motion is $399. You may fax or scan us back the worksheets and we can take a payment over the phone. You could also mail us the payment and the completed worksheets if you prefer. You can find the forms you need here. The Document Specialists provides document production of all applicable documents based on information supplied by you, file documents and publish court required publication. The following is a break down of costs associated with the above: Document Production for 1 adult $299, Publication $95. Court filing fees that are independent of our cost are $435 and a $25.50 certification payable to courts. The entire process takes typically takes 4 months from start to finish depending on the court’s calendar. You can find the forms you need here. 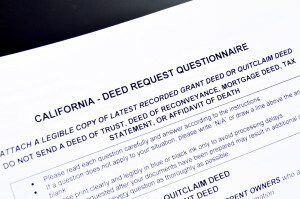 Probate is a court process required for California estates over $150,000 that do not have a Trust. Our probate specialists can prepare and file all documents required to initiate the probate petition and the court will appoint an Administrator over the Estate. The administrator appointed may be one of the beneficiaries who will perform the same duties as an executor such as gathering assets and identifying the creditors of the deceased. The Document Specialists will notify family members of the probate proceeding as required by the Probate court. The settling of an estate will require more than one court appearance by the Administrator and we can explain the process. You can find the forms you need here. Names of your children and other beneficiaries – anyone or entity to whom you want to leave your estate and the percentage they are to receive. Information on any real property and other assets that you own so that we can prepare the deed to put your home in a trust. For a low cost flat fee, you can be assured that you have properly provided for your beneficiaries and loved ones. 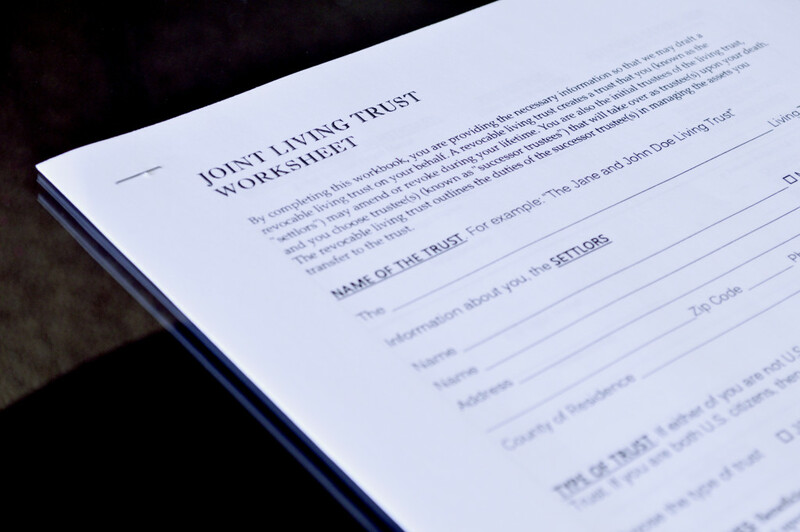 The Living Trust will avoid probate court and allow you to determine who inherits your most personal assets that you have worked hard to acquire. You can find the forms you need here. The Document Specialists provides Immigration Services. As an authorized Immigration Consultant, we gather our client’s information and prepare the proper federal forms. Our consultants are bonded and authorized practitioners as disclosed on the Department of Justice website. The Document Specialists offer a variety of services relating to Immigration. Please contact our office for an appointment and/or our fee schedule. “We are not attorneys and we cannot give legal advice.” Immigration Consultant Bond Number SU36641. At The Document Specialists we make every effort to adhere to proper and ethical procedures for Notarization. We are required to do so by the Secretary of State and we take our oath seriously. Our Notary is a member of the National Notary Association and is informed of all current Notarial practices. The Document Specialists offers Live Scan service with the latest machines approved by The Department of Justice. We are certified finger print rollers and your results are sent to the Department of Justice during your office visit to our location. We are an authorized practitioner on the Department of Justice website. The Document Specialists offers fax and copier services complimentary with our Notary and Live Scan Services. Otherwise, these services are offered at a minimal cost. Our company has a licensed and bonded Process Server that will serve your legal documents, prepare the proper Proof of Service and file the Proof with the court of Jurisdiction. The Document Specialists have couriers that will file your confidential documents for you. This will eliminate you having to stand in line at the court. 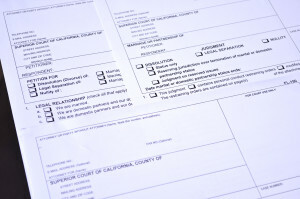 Our service also has the ability to pull your previously pulled court documents. For example, we can pull your archived Divorce Judgment that you may need for Restoration of your Maiden Name or Remarriage. We can also pull a copy of your previously filed Bankruptcy Petition that you may need to re establish your credit. The Document Specialists offers Document Recording Services at the County Recorder’s office and/or the Secretary of State. Our courier will record your time sensitive documents like Deeds or DBA’s. We can pull previously filed documents as well through the County or at the Secretary of State. 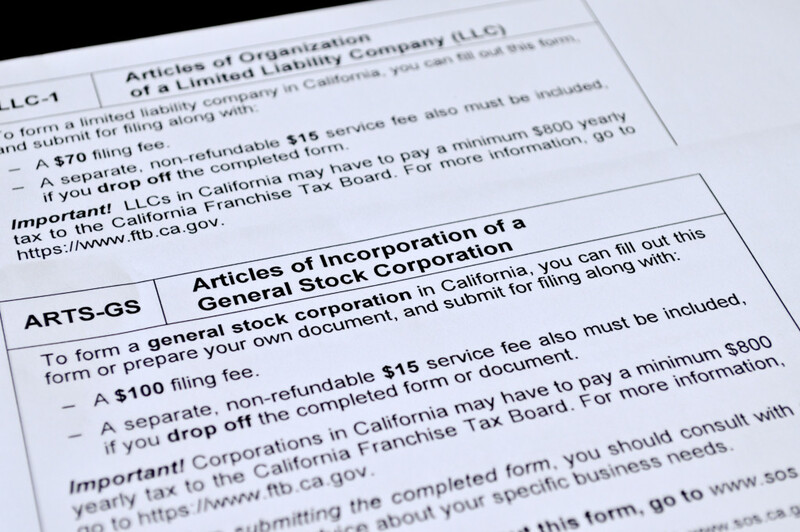 These filings at the State may include your Articles of Incorporation or your Articles of Organization.